I missed last night’s anti-racism march and rally at the Twelve Corners Middle School. But I was not surprised the D & C reported that hundreds attended the event. Or to see Time Warner’ Cable’s footage of the hundreds marching from the lawn of the Brighton High School to the middle school gymnasium. Michael Boucher and Maritza Buitrago from What Maritza Buitrago can and cannot say on the electoral road. 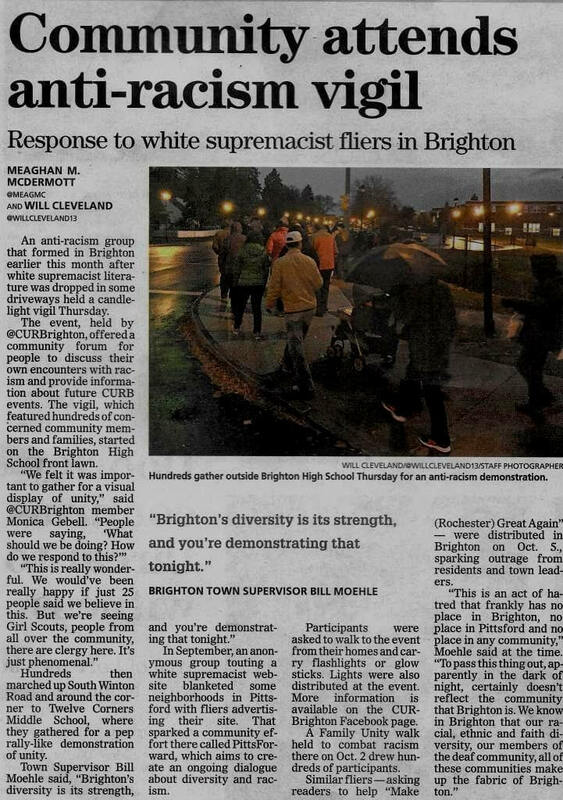 In response to white supremacist literature left in driveways in Brighton, the anti-racism group CURBrighton organized the event, as well as a Family Unit walk in October. CURBrighton is representative of the many people in Brighton promoting racial diversity and fighting racism. 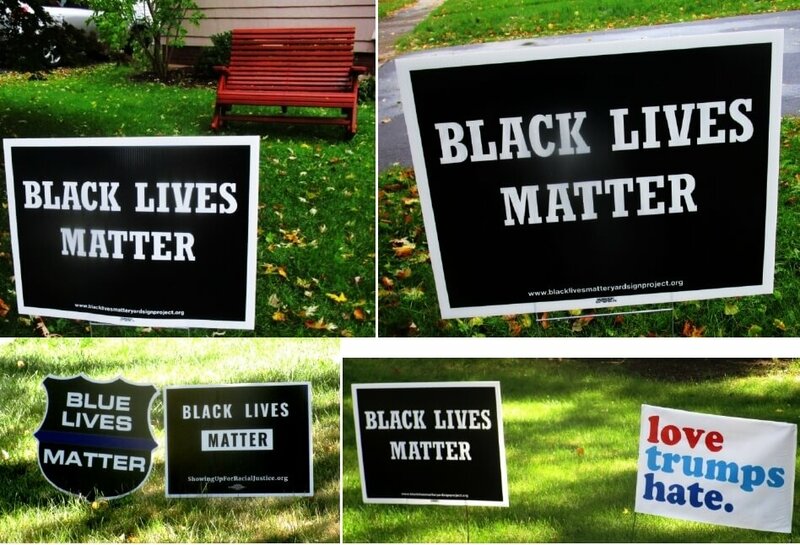 Last September, Michael Boucher wrote about the Black Lives Matter sign he placed in his yard. 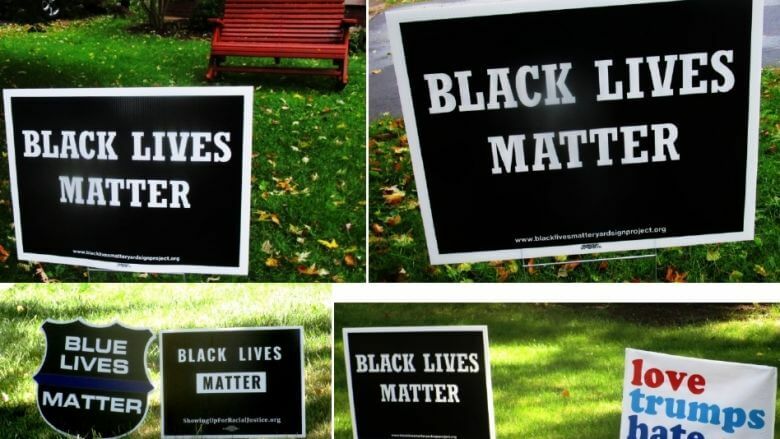 Since then, three of Mike’s neighbors put up similar signs. 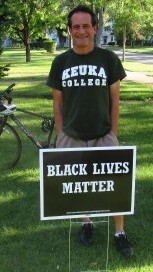 In I Was Racially Profiled In My Own Neighborhood Today. 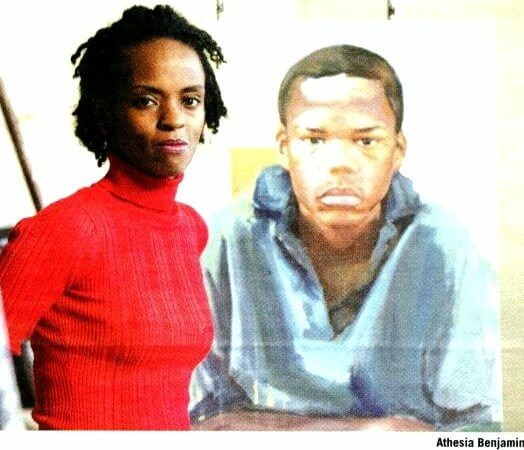 Again., Athesia Benjamin wrote powerfully about an experience of racial profiling. Athesia’s essay drew many supportive comments. 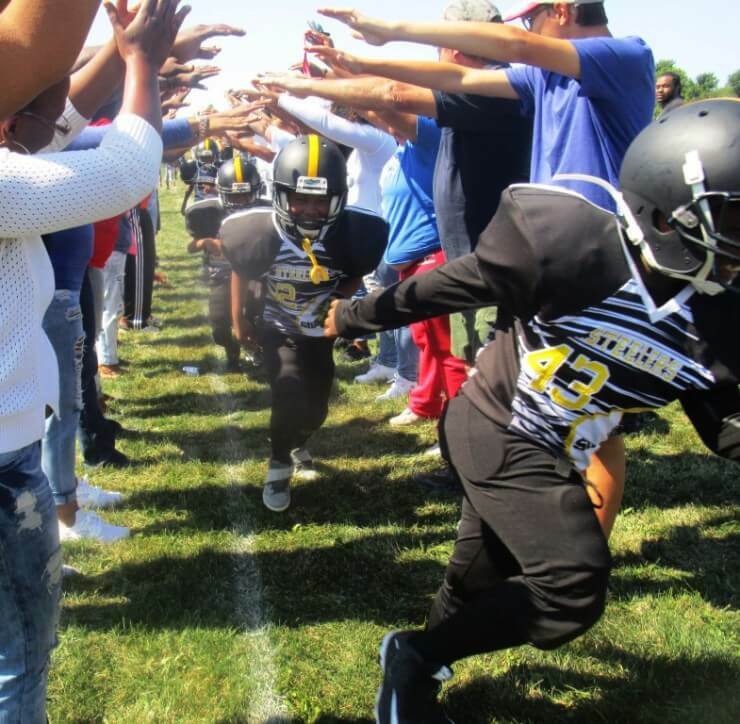 And in New Team in Town: Roc City Steelers debut at Buckland Park, you read the story of the Roc City Steelers. The season was a great success with bigger plans for next year. Denondre’s goal is to draw even more families and players from the city and throughout Brighton into the Roc City community at Buckland Park. From signs to marches to vigils to football to speaking out, people in Brighton are making a difference.